Most people who are familiar with modular buildings understand that they can serve a number of different purposes. This allows the owners to always have flexibility in the designs that they choose. Brick and mortar businesses that need an affordable, portable interface may choose one of these metal buildings for a variety of reasons. The idea is that they can save money on their building costs to put more money where they need it the most. This makes a modular structure very practical. Businesses that are trying to expand may have difficulty due to land constraints or finances. This common road block has turned many people to portable offices that can easily be incorporated into a current layout. Rather than keeping the business at its cramped size, the business expands getting only the spaces that it needs to increase efficiency. They won’t need to add a large building just because it is convenient. This helps the business save money on their expansion. Portable building panel kits allow businesses to create extraordinary spaces at a fraction of the costs. Expanding or creating a business can become a more practical investment. Because parts of the modular building can be moved or sold as needs change, it is also very adaptable. The affordable prices allow many businesses to get the quality portable building office they deserve. Working with a top company like Panel Built allows them to incorporate the latest innovations and technology to their design. Who Can Use Portable Buildings? A portable building isn’t restricted to a traditional brick and mortar business. Many other corporations need the extra space but don’t have the room or resources to expand. Portable offices are starting to become commonplace, but gorgeous churches, schools, guard booths and storage facilities can also be created. The prefabricated buildings allow for many different rooms and designs, so these corporations are still getting exactly what they need to thrive. 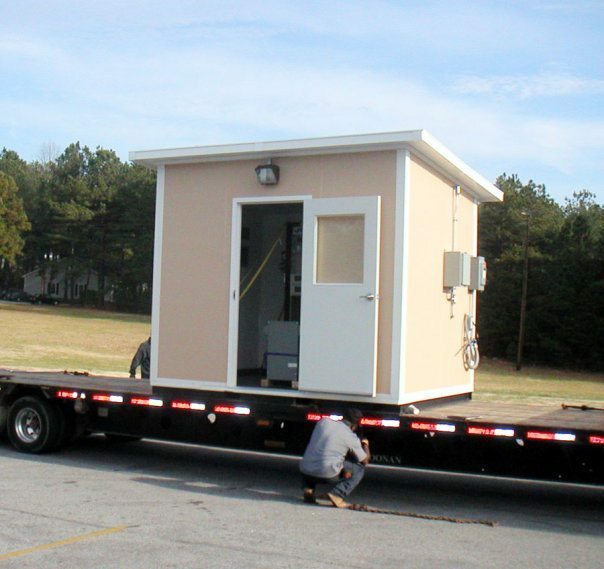 Schools are a great example of how portable buildings can be used effectively. Growing student populations mean that office spaces, detention rooms and study halls often need to be converted into classrooms. These spaces are still crucial for operation, but funds to expand the main building could be limited. In this situation, the school has the option to invest in a new metal building or rent one. This allows them to keep all aspects of the school running correctly, even if space has become an issue. The metal buildings can serve as a temporary or permanent solution for a problem. Because they are easily modified and can be moved, they are still used after needs change. This helps give the corporation a discount over time. Not every business or corporation has the same needs. While many people invest in pre built portable building offices, some people will need more than just a separate room. The space has to be comfortable for workers, so bathrooms, kitchens, lighting or air conditioning may need to be added in. The layout of the building is also customizable. Many office buildings choose to have a few spaces per unit. Some spaces, however, may need to expand quickly. Building layouts can include multiple floors or features such as garages, hallways and lobbies can be added. This helps people get the most advantage out of the space. Because the internal layout can also be changed, this gives the business a longer-lasting asset. Being flexible allows the corporation to create a multi-purpose space that is always catered to their needs. Whether they have a simple office building or a one-of-a-kind structure, the corporation will be able to create a space they can truly thrive in. When considering where to purchase your pre built portable building office, it is important to find a company that is well-known for its experience in the field. Panel Built works hard to maintain the quality of their work. When they start the off-site construction process, they use the latest technology and precision techniques to help create a durable structure that lasts for years. Even though most of Panel Built’s designs are available within days of ordering, the company works hard to uphold a high level of quality. Paying close attention to detail allows them to deliver exactly what their customer expects with each order. Because Panel Built is able to work quickly and accurately, the buyer is able to reduce downtime in their own projects. The buyer will not need to worry about a messy construction site or having a lack of space for very long. This improves the efficiency of the project as a whole and creates a more cost-effective space solution. Panel Built’s years of professional engineering experience show when you receive the final product. The portable metal buildings are reinforced with some of the toughest materials available. Décor and layouts will be delivered precisely as planned. With the help of Panel Built, any corporation can create the space they need to thrive. By taking advantage of unused space with portable buildings, corporations are creating affordable solutions that continue to save them money for years. 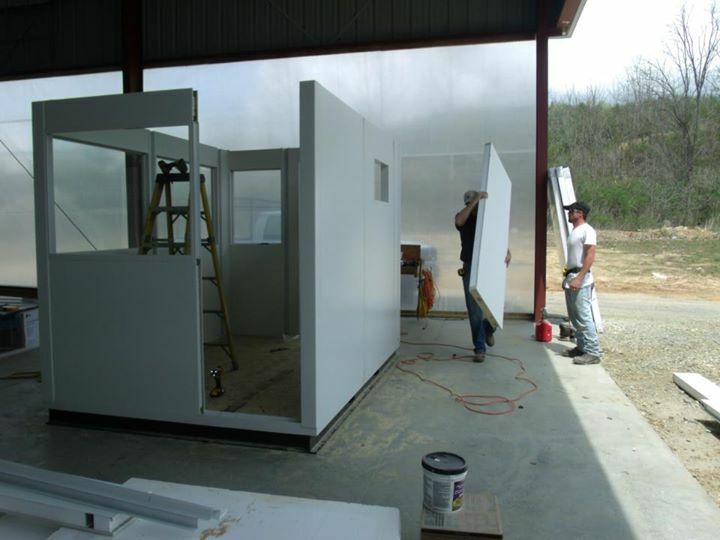 If your factory, warehouse, office, school or other commercial building is in need of an expansion, don’t hesitate to contact Panel Built for high-quality portable buildings that you can rely on.